Over the last few years many have argued that boxing has been playing second fiddle to the fast rising popularity of mixed martial arts. However, the two highest-paid athletes of 2012 were boxers. The man at the No. 1 spot of that list was one of the biggest personalities in sports—Floyd "Money" Mayweather, Jr. His perfect record, trash-talking, marketability, and antics have all played a role in Mayweather becoming the top earner in sports. One man that's seemingly been taking notes on all of this is Adrien "The Problem" Broner. The new WBA International Super Lightweight champ sports a respectable record of 27-1 and has a tendency to stunt on a regular basis just like the man he looks up to. But is Broner taking things too far? Following last night's rant by A.B. where the boxer called himself the "Can Man" for reasons you will eventually find out, people would respond with a definite "yes" to that question. From flushing money down a toilet on two occasions to allegedly biting a man *insert Tyson joke here* in a Miami nightclub, Broner has made headlines among boxing and non-boxing fans for a variety of controversial reasons. Are these the actions of a 24-year-old just having fun with his millions or the ignorance of an overly cocky fighter who's yet to live up to the hype? 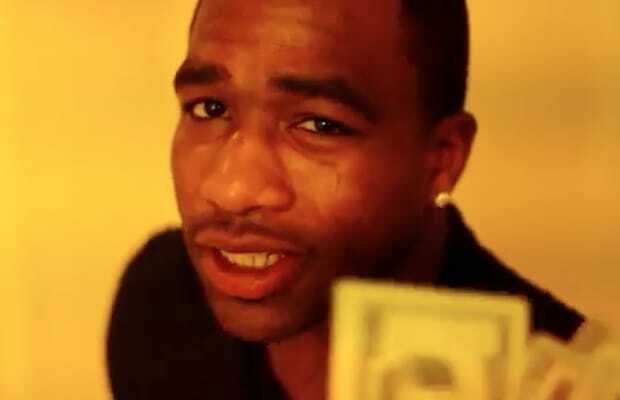 Peep Adrien Broner's Most Ignorant Moments and judge for yourself.